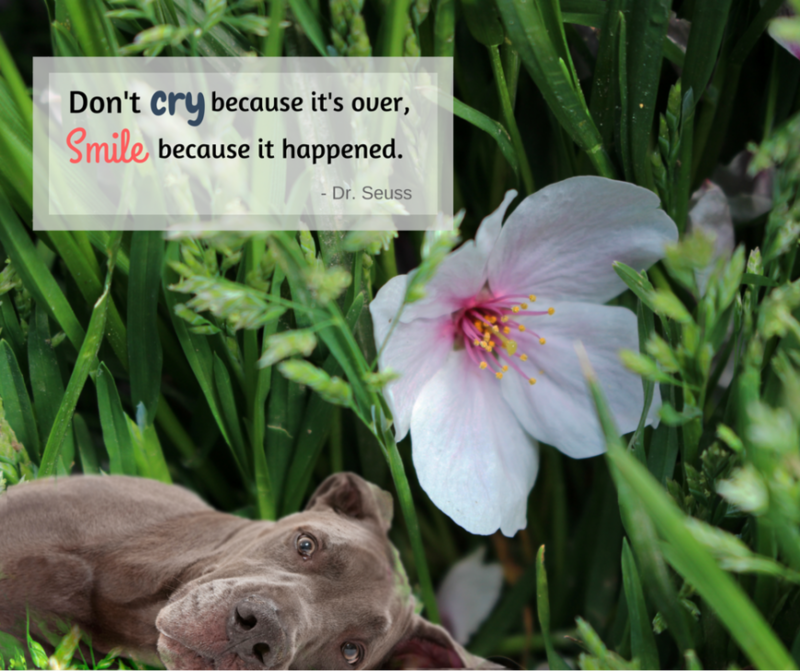 Losing my dog is one of the most heart-wrenching experience I have ever had. 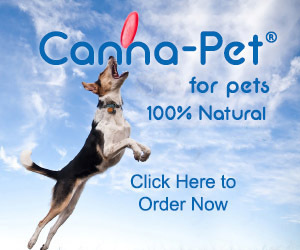 I am sure dog parents who have experienced the same would totally agree. 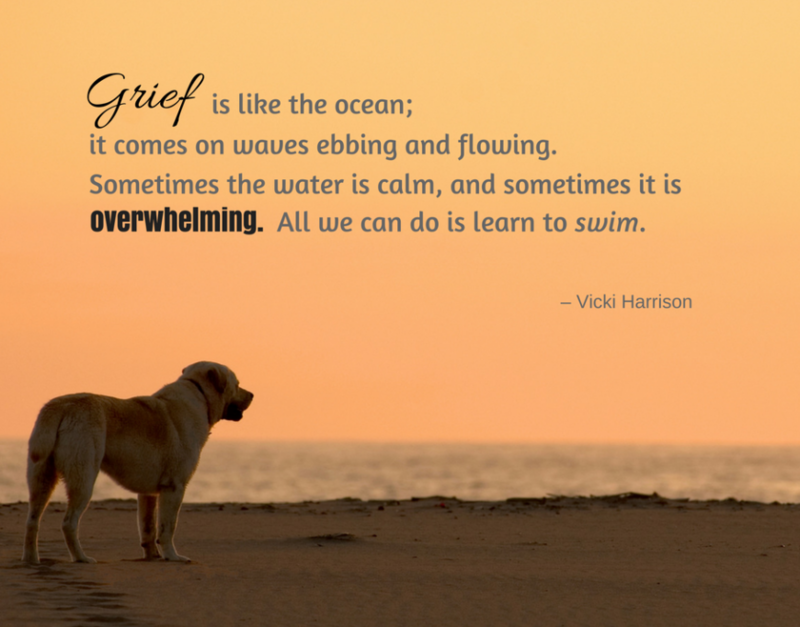 As we work through the grieving process, we need as much as support as we can get. One thing I’ve found helpful is writing about my feelings in a journal. 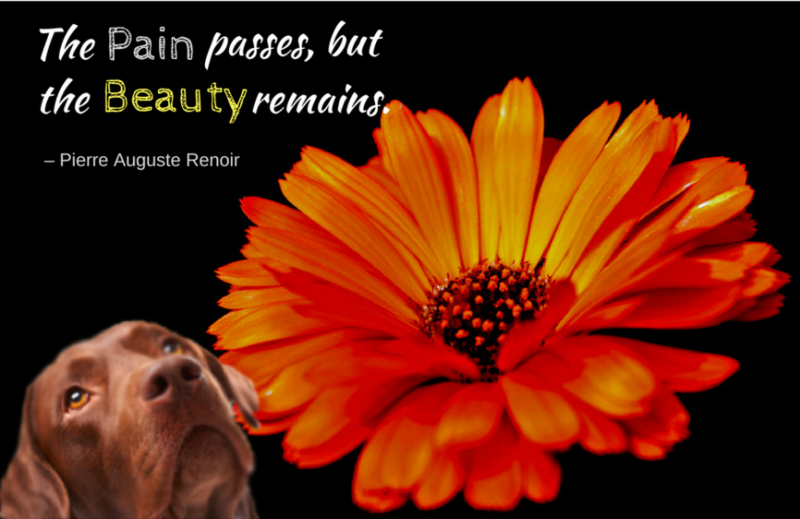 I also liked reading pet loss quotes and writing poems to soothe my mind. They have brought tremendous peace and consolation to me. 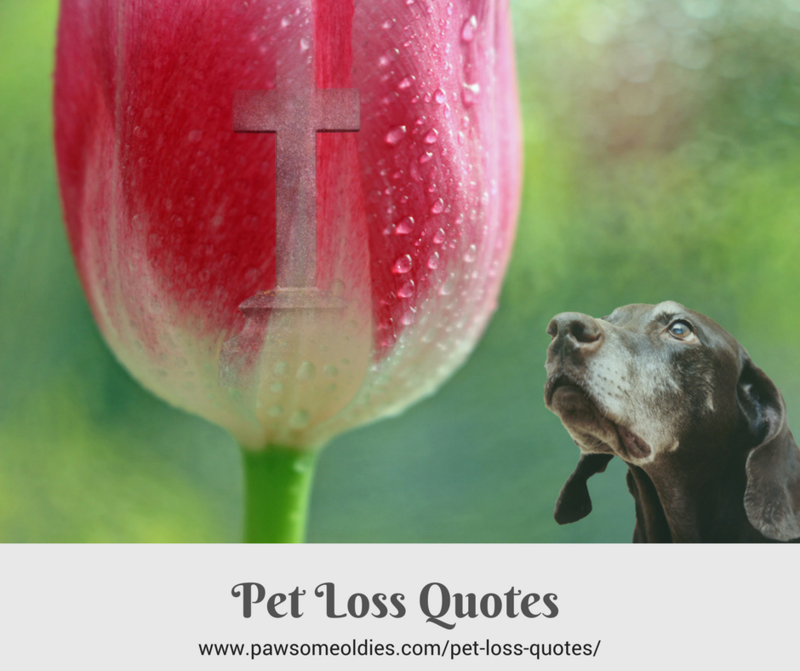 I put up this page of pet loss quotes to help dog parents deal with their grief over the loss of their beloved dogs. 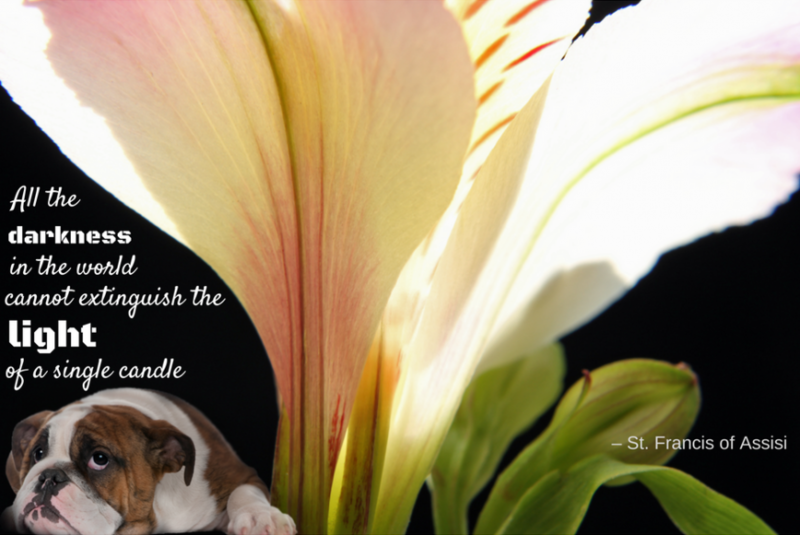 I like photography and enjoy taking pictures of flowers, so I “stitched” together some flower pictures with pictures of dogs, and then added some quotes. Hope you like them. If these quotes and pictures could bring you some warmth, peace and consolation, I would be grateful. I hope every day you are feeling better, stronger, and more positive. 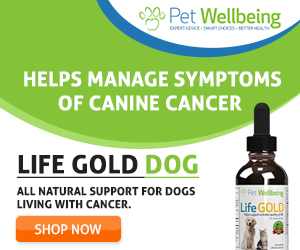 Let the happy sweet memories of your beloved dog be your loyal companion. 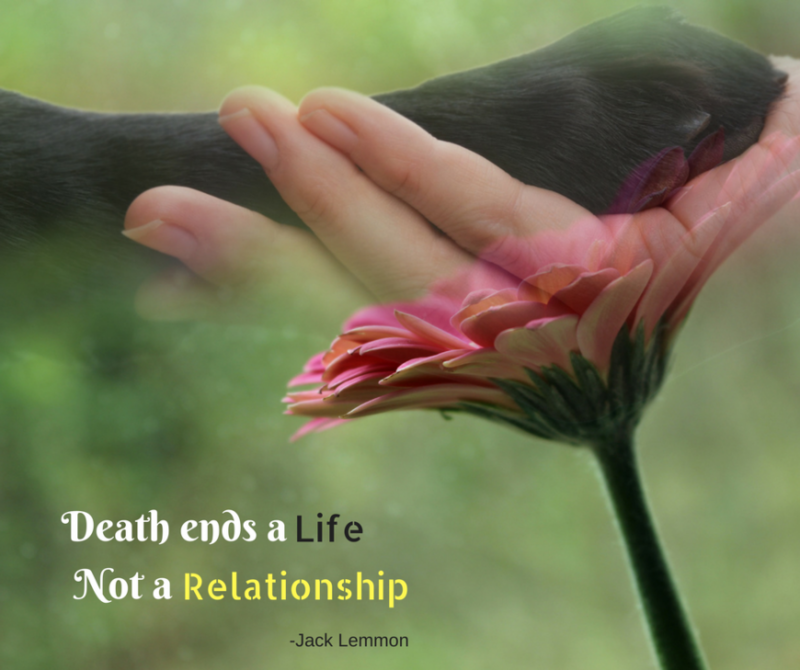 Our dogs may have left us, but their spirits, love, and legacies remain intact. 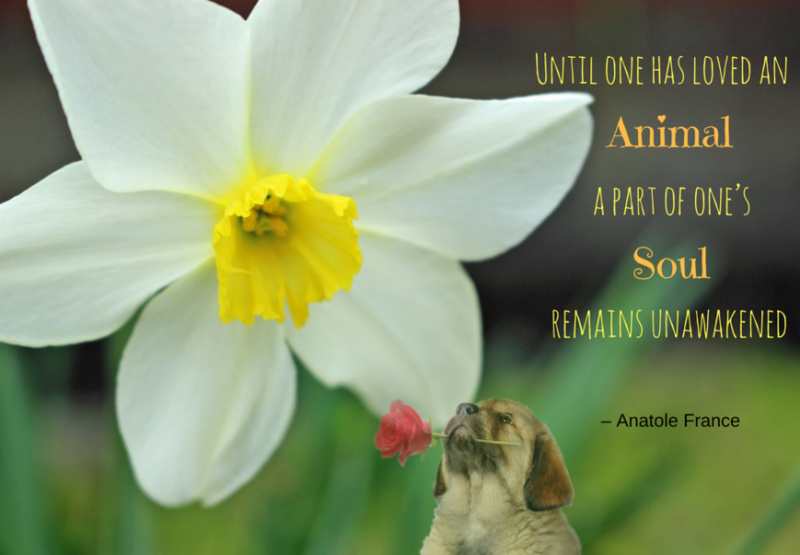 Share your feelings and experience below, or join our Pawsome Fur Angels Pet Loss Support Group on Facebook.